President Aquino’s much-ballyhooed Communications Group will have two leaders – broadcast journalist Ricky Carandang and columnist Herminio Coloma. In appointing two heads, the President hopes to clearly relay his message to the public; draw feedback from them, and silence the warring factions in his government. Some palace reporters believe somebody in Malacañang gave ABS-CBN an advance copy of President Aquino’s speech last Monday. According to the Inquirer, ABS-CBN’s Facebook account posted a copy of the President’s speech even before he could finish his SONA. In another news dismissed by ABS-CBN as totally irrelevant, Ricky Carandang and Ces Drilon have been voted as News & Public Affairs’ most beautiful couple. Reports say a copy of President Aquino’s SONA was leaked to ABS-CBN last Monday… something that’s not surprising since ABS-CBN is a government station. 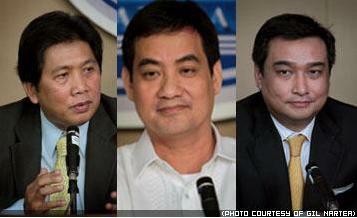 The President will soon have three spokespersons: Herminio Coloma, Edwin Lacierda, and Ricky Carandang. One to create the message; another to fine-tune it, and a third to leak it. Angelito Banayo, the new administrator of the National Food Authority said the agency’s recent inventory showed there are no rotten rice stocks in its warehouses. But another inventory showed there still are rotten officials left in NFA offices. In his first privilege speech as a member of Congress, Sarangani Rep. Manny Pacquiao quoted a line from the Hollywood film “Spiderman,” ring announcer Michael Buffer, and American poet Robert Frost. And everyone agreed – his speech was more shocking than the president’s. 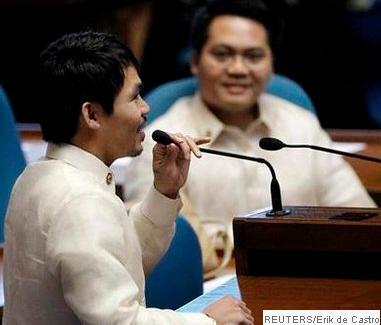 In flawless English, Sarangani Rep. Manny Pacquiao delivered Tuesday his first ever privilege speech. Pacquiao was interrupted at least five times by applause, and thrice to look up a word in the dictionary. Are you a drug user who plans to travel abroad? Do you carry 26.1 grams of cocaine and two tablets of diazepam? Worry no more! NAIA security will never detect you! Rumors say some friends of Ilocos Sur Rep. Ronald Singson who is still languishing in a Hong Kong correctional facility want him to get treatment when he is released. 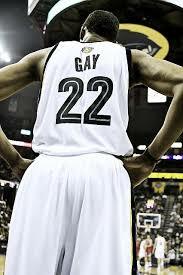 Nope, not the type offered by NAIA; not special treatment. No. 5: Hindi lahat ng kumikinang ay foil. No. 3: Batu-bato sa langit, ang tamaan ay addict! To err is human, to sniff is divine. Do you still remember the gas leak at the West Tower condominium in Barangay Bangkal, Makati City? At press time, investigators have yet to identify the source of the leak… although Ricky Carandang is now a suspect. 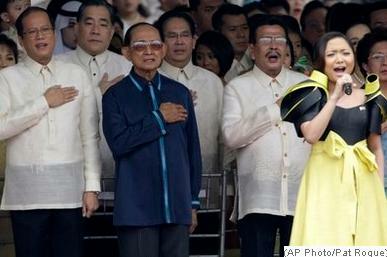 Were you shocked by President Aquino’s State of the Nation Address? DO NOT follow me on Twitter. You’ve been warned! PRESIDENT NOYNOY AQUINO says his State of the Nation Address will “shock” Filipinos… a majority of whom have yet to recover from the shock of his victory. 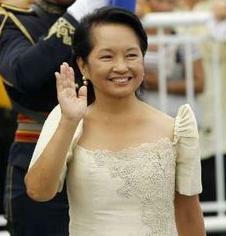 President Aquino warned that his SONA would “shock” every Filipino… except for Gloria Macapagal-Arroyo and her former cabinet. Presidential Communications Group member Ricky Carandang says President Aquino’s SONA will be 20-minute long… or even longer, depending on Mrs. Arroyo’s threshold for shame. 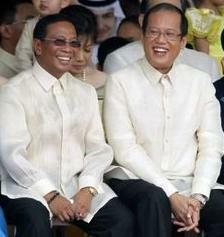 President Aquino said the first draft of his speech was 24 pages long, single-spaced and with a font size of 16 points. He also used his favorite font, Comic Sans. According to President Aquino, the fifth draft of his speech is down to 15 pages, and would probably take 30 minutes to read… or maybe 40, if they push through with the initial plan of including a cigarette break. 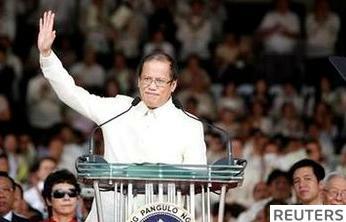 Ricky Carandang was quoted to have said that the initial draft of President Aquino’s speech reached 30 pages. And that’s just for his acknowledgment of the presence of all Abads in government! President Aquino’s speech on Monday will reportedly focus on two things: the good intentions of the Aquino government, and the evils of the Arroyo administration. 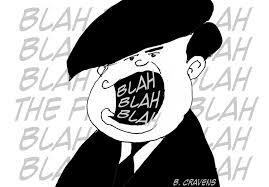 I wouldn’t be surprised if Conrado De Quiros was consulted by Aquino’s speechwriters. 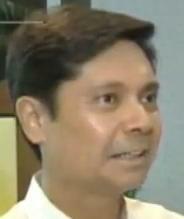 Palace spokesperson Edwin Lacierda says President Aquino’s SONA will expose anomalies in the Arroyo administration. In fact, the President himself said his speech would contain at least five “discoveries” he made when he assumed office… which makes me wonder, why the need for a Truth Commission when the Communications Group is doing the same job? 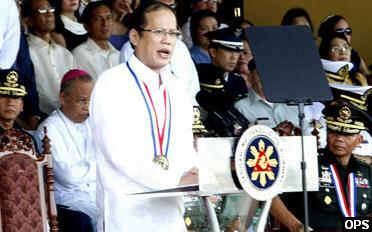 President Aquino says his speech on Monday is down to 15 pages. The President is all praises for his pool of writers. You know, it’s not easy to write a 15-page speech based on a nine-year long material. Busted: Tomorrow, Pampanga Rep. Gloria Macapagal-Arroyo won’t be present in Congress’ joint session even if it’s her first term. Also expected to not show up is Ilocos Sur Rep. Ronald Singson who has started another term – a jail term. 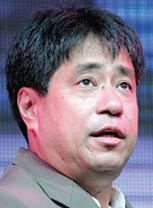 Senator Francis ”Kiko” Pangilinan has withdrawn his bid for the presidency of the Senate. 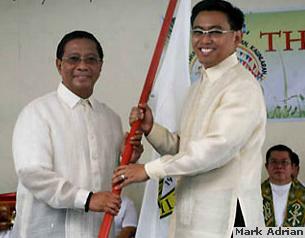 The LP senator said quitting is the best way to ensure unity among senators. It’s also the easiest way to save face. Sen. Francis Pangilinan has withdrawn his bid for the Senate presidency. 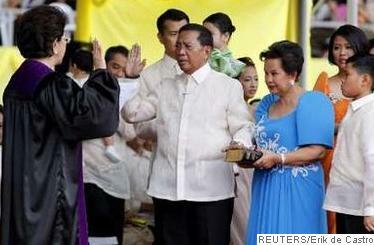 Even his party, the Liberal Party has reportedly conceded to Senator Enrile. 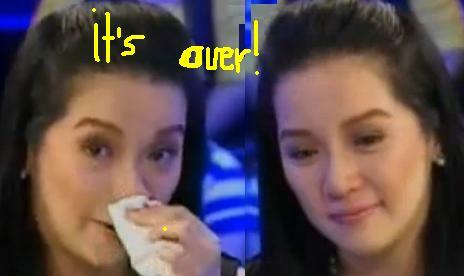 The only person that has yet to concede is Sharon Cuneta. Ilocos Sur Governor Luis “Chavit” Singson told ABS-CBN News his son Ronald, a congressman could have been influenced (“nasulsulan”) to using drugs particularly cocaine resulting in his July 11 arrest in Hong Kong. Nasulsulan? Ronald is 41 years old. He’s a congressman. Nasulsulan? Dalawa lang ‘yan. Either he’s a drug user… or tanga. Have a great week ahead. See you in Congress! 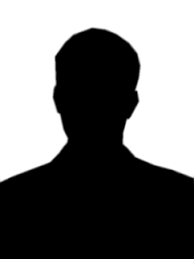 PERSONAL: A former officemate has been jobless for months. She’s getting desperate. In the hope of landing a job in government, she’s planning to change her surname to Abad. 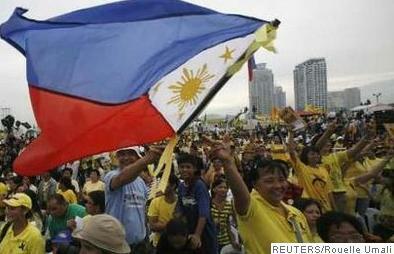 Lawmakers have criticized the recent appointment of the members of the Abad family in key government posts. 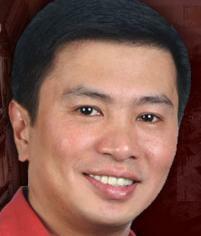 Ex-congressman and former DepEd chief Florencio “Butch” Abad is the new budget secretary. 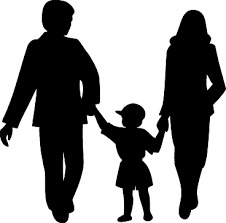 His daughter Julia is the chief of the Presidential Management Staff or PMS while his son, Luis has been appointed chief of staff of Finance Secretary Cesar Purisima. Abad’s wife, Henedina is the representative of the lone district of Batanes and is the incoming vice chairman of the House appropriations committee. 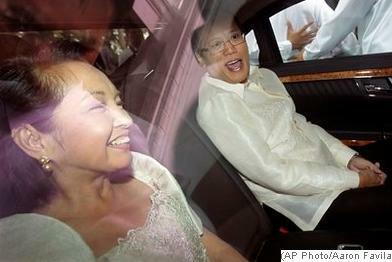 President Aquino may be single but his administration has its own First Family. 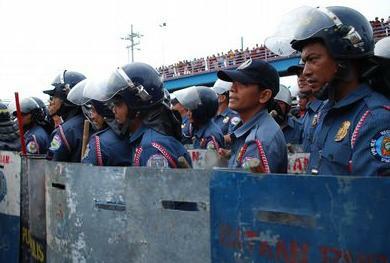 At least 3,000 anti-riot policemen will be deployed when President Noynoy Aquino delivers his first State of the Nation Address on July 26. You know what that means? Tiba-tiba na naman ang McDonald’s! Wohoo! Reports say a check amounting to 21.1 millions pesos was released last June 28 to reimburse former Pagcor chairman Efraim Genuino for food purchases at McDonald’s that were “donated” to the NCR Police Office. Again, that’s 21.1 million pesos worth of meals from McDo! And we still wonder why many cops are overweight? Q: Ano ang favorite commercial jingle ng mga pulis? A: Pa-pa-ra-pa-pa… love ko tong! A son of Comelec Commissioner Elias Yusoph who was kidnapped in Marawi City last month has been released. The Philippine National Police denied reports that ransom was paid to the kidnappers… although McDonald’s-Marawi confirmed that 2 million-peso worth of cheeseburgers were ordered by an unidentified group of armed men immediately after Yusoph’s release. Voting 4-2 with one abstention, the Commission on Elections en banc allowed Mikey Arroyo to sit as representative of “Ang Galing Pinoy” party-list, which claims to represent among others, security guards in Congress. To prove that he’s serious about his advocacy, Mikey reportedly vowed to work on graveyard shift. Supreme Court associate justice Mariano del Castillo who penned the decision on a case filed by a group of comfort women has been of accused of plagiarizing from the Yale Law Journal and the Western Reserve Journal of International Law and a portion of a book by the Cambridge University Press. Del Castillo has denied the allegation but vows to pay for the act if proven otherwise… by donating cash to the basketball program of his alma mater, the Ateneo De Manila University. News that Vicki Belo performed a cosmetic procedure on pop sensation Charice Pempengco became the 6th most discussed topic worldwide on Twitter.com Monday night. Belo felt an overwhelming sense of déjà vu. A few years back, a cosmetic surgery done on her own face was a hit on AwfulPlasticSurgery.Com. 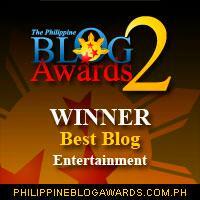 A footage of Charice Pempengco getting Botox injection was featured on the Hollywood entertainment show The Daily 10. They showed Charice’ old and new face, and then they showed the face of her sponsor Vicki Belo, the living proof that the procedure can go horribly wrong. Manolo Quezon, Ricky Carandang, Sonny Coloma, Jing Magsaysay, atbp. Ano ang basa mo sa pinaplantsang Presidential Communications Group? – Hintayin na lang natin. Philippine Daily Inquirer: Who are the Abads? 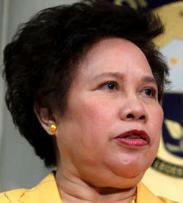 Senator Miriam Defensor-Santiago has filed a P1.6-million damage suit against American Airlines for a delayed flight to Los Angeles two years ago during which she fell sick. American Airlines has issued a statement expressing shock at Santiago’s delayed reaction. Almost a month after CIBAC party list representative Joel Villanueva’s term ended, the Supreme Court ruled that he was not eligible for a House seat because he was over the age limit for a youth sector representative. In case you’re wondering what the acronym CIBAC stands for, it means Congressman Ineligible But Allotted CDF. Former CIBAC party list representative Joel Villanueva, a son of evangelist and defeated presidential candidate Eddie Villanueva has been appointed director-general of the Technical Education and Skills Development Authority or TESDA. 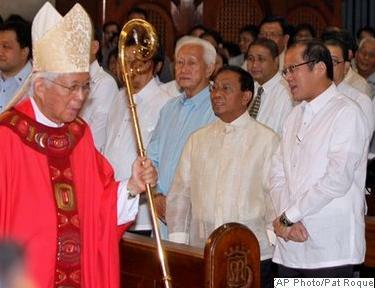 His appointment came as a bit of a surprise mainly because his father has yet to concede defeat to Noynoy. A survey conducted by the Makati-based StratPOLLS showed that 7 out of 10 Filipinos in Metro Manila wanted former President Gloria Macapagal-Arroyo to be charged in court. Yup, 7 out of 10. 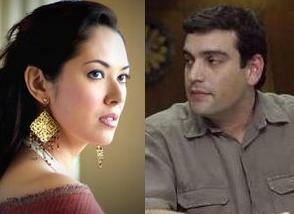 The other three were Mikey, Dato, and Luli. 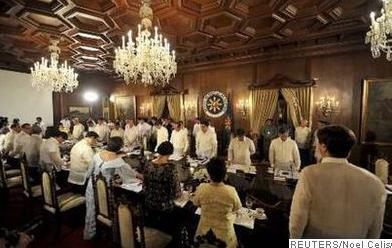 President Aquino has started preparing for his first ever State of the Nation Address on July 26. In fact, this coming week he’ll be meeting with his cabinet members, speechwriters, and Paul Cabral. 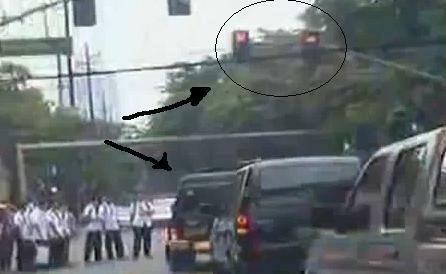 The Philippine National Police has conducted a drill in preparation for President Aquino’s SONA next week. The cops were given instructions on how to provide security for special guests; how to handle militant protesters, and how to prevent a clash between Team Lacierda and Team Juana Change. Organizations allied with the ‘Reaffirmist’ group of CPP-NPA Founder Jose Ma. Sison have expressed strong opposition to the appointment of known ‘Rejectionist’ and former Akbayan Representative Loretta Ann Rosales as chair of the Commission on Human Rights. In totally unrelated news, mathematicians discovered that a triangle has three sides. Today, July 18, the Philippine Star published a story on Florencio ‘Butch’ Abad. Yup, the government has found a new budget secretary. The only thing missing now is the budget. 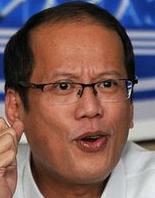 PRESIDENT NOYNOY AQUINO says his Cabinet will undergo a seminar on how to properly deal with the media. 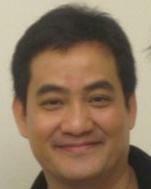 The seminar is not mandatory for all Cabinet members… except for Edwin Lacierda and Bro. 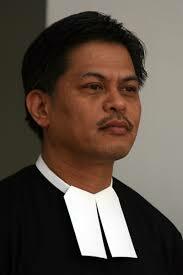 Armin Luistro. 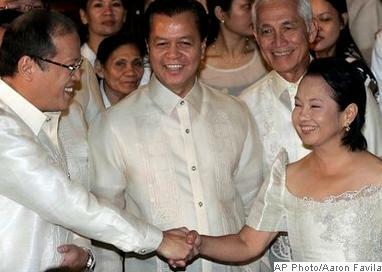 Reports say members of the Aquino cabinet will attend a seminar on how to properly deal with the members of the press. You know, how to charm them, get their attention, sustain their interest, and make them believe all the things you say. 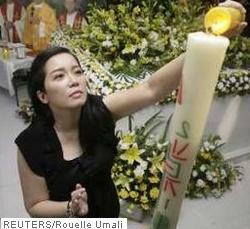 The seminar will be conducted by Kris Aquino. 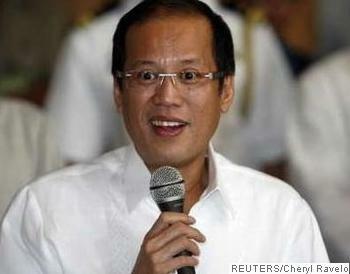 President Aquino announced that members of his Cabinet would undergo a seminar on media relations. Again, fine-tuning. On his fifth day as president, Noynoy Aquino took time off and did some target practice at Langkaya, Antipolo with Makati City Mayor Junjun Binay. The younger Binay said he actually sent the invitation to Aquino two weeks ago… but it was only last Sunday that Mar Roxas was persuaded to let Noynoy go. 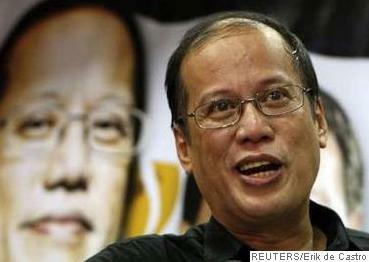 President Aquino went target shooting Sunday. 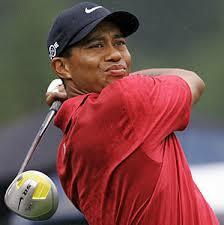 Members of the PSG said he was unusually sharp that day. In fact, he only missed 1 of the 10 James Yap photos used as targets. Reports say Senators Francis Pangilinan and Manny Villar are in a fierce battle for the presidency of the Senate. The only fiercer battle is between Juana Change and Edwin Lacierda. A motorboat carrying six members of the religious sect ‘Ang Dating Daan’ capsized Sunday enroute to Aroroy port after leaving Barangay Talib in Aroroy, Masbate. Probers are checking on reports that the boatman was a member of the Iglesia ni Cristo. US Secretary of State Hillary Rodham Clinton has criticized Russia for occupying parts of Georgia… which is really ironic coming from a high-ranking official of a country that occupies the rest of the world. If looks could kill, Yemen would be dead by now. And Germany would confess to the murder. Germany is so mad at Yemen for being a blabbermouth. It was Yemen who, without consulting Germany first, announced to the world that Germany’s romance with Malaysia was over. Germany didn’t want the public to know about it, and was actually successful in keeping the separation a secret from the tabloid press, until Yemen, yes, the rumormonger, made it public. Tsismosa! Will ex-politico, Kangaroo say “yes” to network bigwig, Parrot who offered him to anchor the network’s early evening newscast for a whopping P10M/month plus other perks? A very reliable source says Kangaroo still has a week left to decide. But will owners of his former network allow that? Everyone in his ‘original home’ with the exception perhaps of high-ranking Rabbit, is reportedly excited to see him back. Ano ang kanyang pipiliin? Abangan! Who should be the Senate president? Congratulations to Francisco Bustamante of the Philippines for winning the 2010 World 9-Ball Pool Championships in Doha, Qatar earlier today (Manila time)! Great job Django! Enjoy the rest of the week y’all! 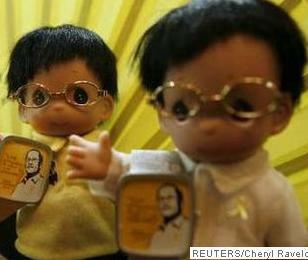 Have you seen the Noynoy Aquino inauguration souvenir miniature dolls? 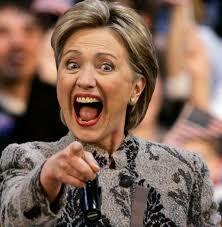 I just heard the wife of a losing VP candidate has bought a dozen… plus a set of needles. 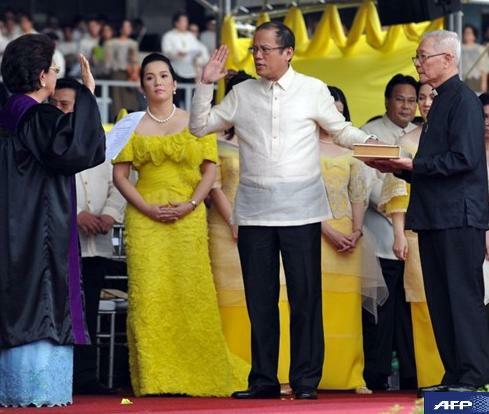 If you were Chief Justice Renato Corona, would you attend Noynoy’s inauguration? Catch Usapang De Campanilla with Alvin Elchico and Lynda Jumilla on dzMM, nightly@8.